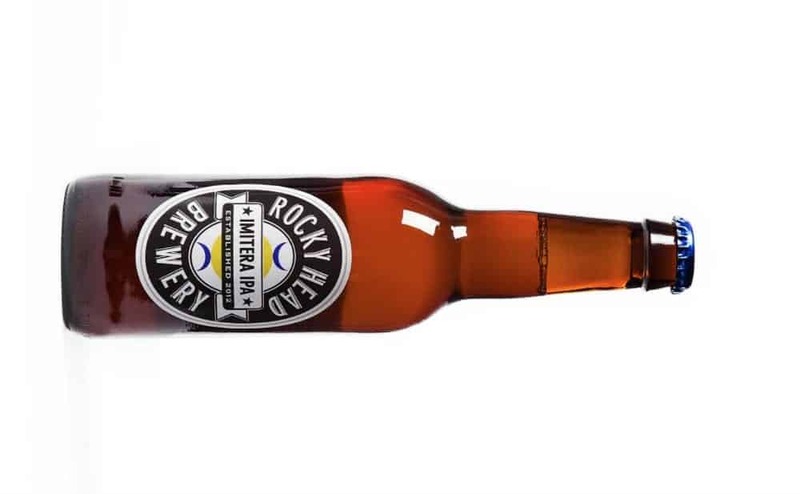 Set up by a small group of friends in the summer of 2012, Rocky Head Brewery is heavily inspired by the American craft beer scene, operating as a microbrewery from a site in South West London. Although a somewhat ramshackle organisation, using equipment sourced from various sources, the brewery is becoming known to produce some of London’s finest beer, having even collaborated with the likes of Selfridges in order to brew the department store’s exclusive 1909 India Pale Ale. From the brewery’s own core range, Imitera – the Mother, in Greek – is the brewery’s flagship IPA. Brewed using Citra, Amarillo, Simcoe, and Sauvin hops the beer pours a honey-gold colour with an off white head that has a surprisingly fair retention, considering the bottle pour. And with the beer having been unfiltered, for optimum flavour, there’s also some visible sedimentation. On the nose, strong notes of hops are apparent and are joined by hints of fruit, mainly citrus rind, sweet syrupy aromas and some pine that continues into the deep, bitter taste with its long resinous finish. Although Imitera is not the most exciting craft beer available; it’s simplicity makes for a classic, well-rounded, and ultimately satisfying British IPA. Further information on Rocky Head Brewery and their stockists can be found here.